Inchagoill is situated on the largest lake in the republic of Ireland which is also one of the great western lakes of Europe, known practically all over for its trout and salmon fishing. The island of Inchagoill is known locally and by tourists alike. Many families push the boat out and head to this island on warm summer days with barbecue in tow. Others board the Princess Queen or the Lady Ardilaun, run by Corrib Ferries. Here they stay for the entire day just relaxing and enjoying the tranquillity. 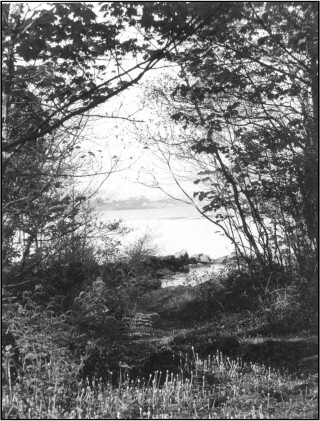 Sir William Wilde wrote also of Inchagoill in his book Lough Corrib, its Shores & Islands originally published in 1867 and reprinted by Kevin Duffy from Headford in 2002 titled Wilde’s Lough Corrib. 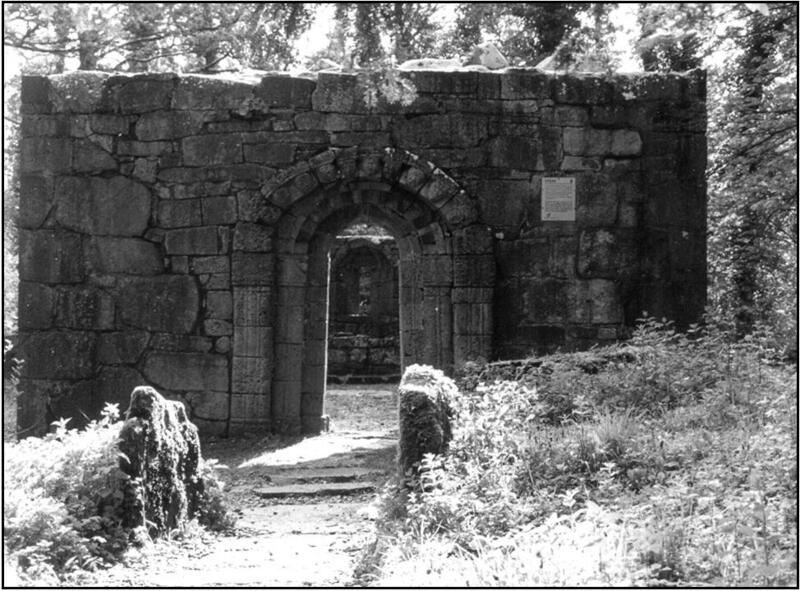 Sir William describes Inchagoill as “by far the most interesting island on the lake; and, if we said one of the most remarkable spots on Irish ground, we should not fear to take up the gauntlet in it’s favour, for picturesque scenery, grand mountain views, and existing historic monuments”. The island itself is home to not one but two churches built in the 5th and 12th century and “where the island narrows towards its centre, an extensive graveyard, in an ancient ecclesiastical enclosure, marks where, so long as there were any of the name left in the country, the Kinnaveys, Conways, Sullivans, Murphys, Lyddans, Butlers and others interred their dead: and many a wild wail of the Irish keen has floated over the surrounding waters, as the funeral procession of boats, with their picturesquely clad freights, approached the shore of this sacred isle.” Within the graveyard stands Teampall Phaidrig or St Patrick’s Church, the smaller and older of the two, standing just 34 feet 7 inches long when measured by it’s outer wall in a north-south direction and quiet plain with it’s narrow square headed doorway. Not far from Teampall Phaidrig stands a monumental stone, containing one of the earliest Christian inscriptions in Ireland. It is a single four sided obelistic pillar, slightly cambered, broad at the base where it measures 10 inches and gradually decreasing from 6 to 5 inches on the inscribed side which faces the south west end of St Patrick’s Church. This monumental stone has two crosses on the faces to the west, east and south, with one on the north face. On the east face is an inscription in the Uncial of old Latin character which was reproduced by careful rubbing. It reads perpendiculary and was first published in 1845 by Dr Petrie in his celebrated works upon “The Ecclesiastical Architecture and Round Towers of Ireland”. The stone reads “Lia Lugnaedon Macc Lmeneuh,” the stone of Lughaedon, son of Limenueh (the sister of St Patrick). 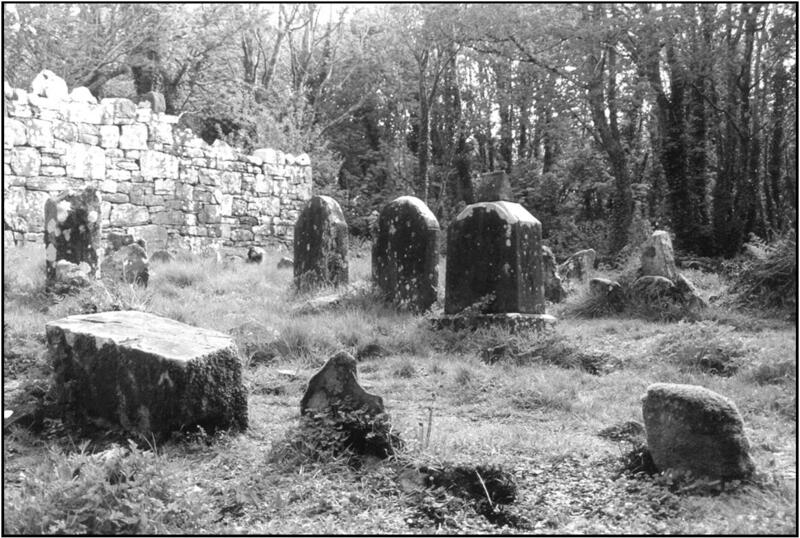 It is said that this monument has all the appearance of having been one of those corbel stones so often seen projecting in old Irish churches, and of which there is an example in the north east angle of the gable of the neighbouring church, Teampall na Neave, “The Church of The Saint” (probably Lugnad). The stone now stands two feet four inches over the ground as a headstone to a grave. 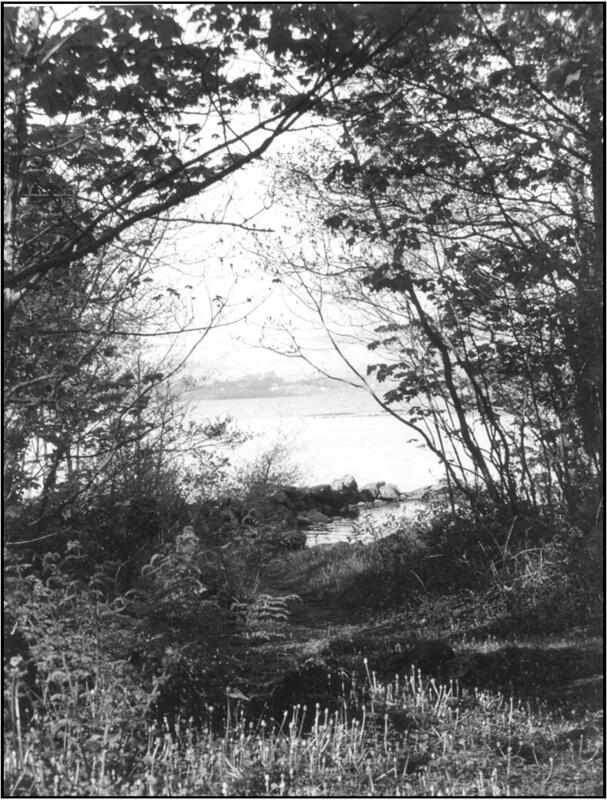 An ancient flagged way, 79 yards long leads between St. Patrick’s church and Teampall na Neave. The latter is said to have been built in the 12th century and is more modern than that of St Patrick’s with its highly decorated structure. It is also larger in size, measuring 38 feet 1 inch from it’s outer walls. Projecting from the north east angle of the wall of the nave is a remarkable corbel shaped stone, two feet four inches long that reminds us of the Lugnaedon pillar. 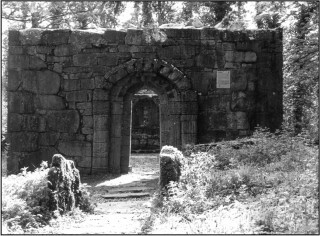 The doorway to this church is far more elaborate than it’s neighbour and the entire thickness of the doorway is 39 inches and is formed from a coloured sandstone which can be found on the Cong side of the lake. The jambs are formed by columnar pilasters which are crowned by human faces from which springs the arch which again is carved with a row of faces each different and thought to have been portraits. But unfortunately, due to weathering over time, it has not become possible to identify any individuals. Inside the church the altar is still intact and measures 4 feet 7 inches wide and one foot 10 inches high. On the altar are two indented stones: one has an oblong quadrilateral hollow while the other, placed immediately under the small eastern round headed single light, is a smooth stone with an oval shaped depression, measuring 6 by 4 inches in diameter and capable of holding a closed fist. This is believed to have been a very early water font. There are many other carvings on the walls and upon the flagstones to be seen. 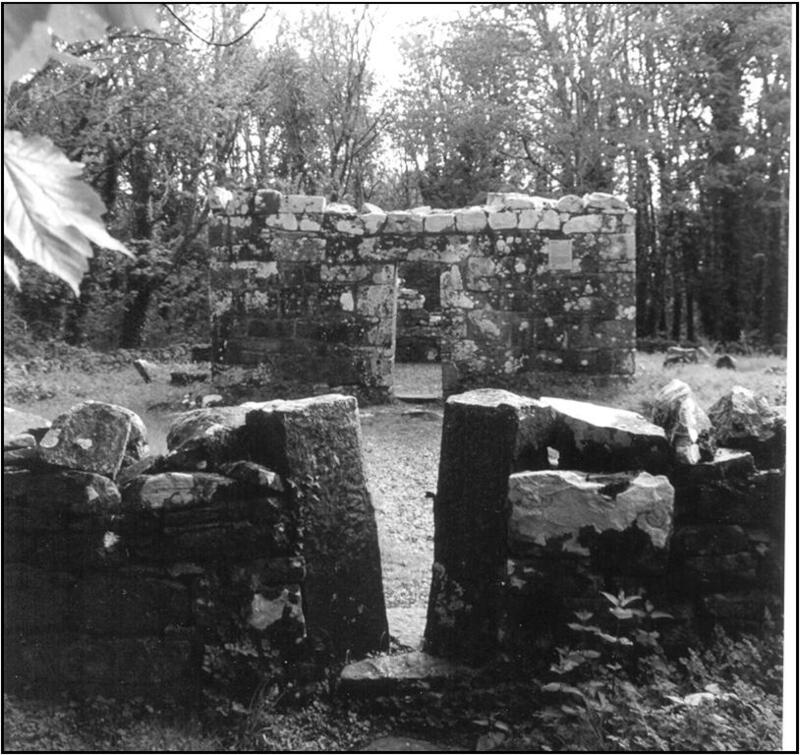 Inchagoill is an island to be explored not just for it’s beauty but for it’s history, with which it is well steeped. So why not take a trip and view it for yourself? Very nice article my family sir name is now Keneavy changed once immigration to USA but family was originally from Oughterard who had moved from the island. Thanks for the history and pics. The inscription pn the rudder stone ‘lielusuqedonmaccimenueh’ can be interpreted as the stone of Lu, Suqe, Don, the Magi and manaig (farming community) of Yahew! If you would like to know more about this do email me!